Open lecture and public discussion with Isabelle Frémeaux and John Jordan (The Laboratory of Insurrectionary Imagination). 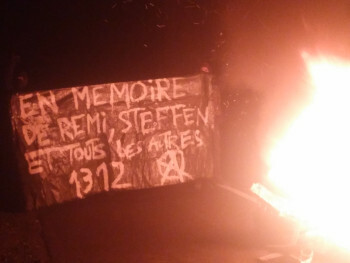 From #ZAD #NDDL to #HambacherForest: In memory of Steffen & all the others ! 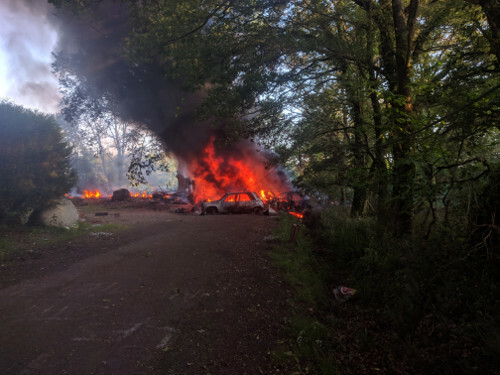 ZAD, NDDL: On Wednesday, 19 September, an media activist died from a 15-meter drop from one of the footbridges that connected about 50 treehouses in the Hambacher Forest. Continue reading From #ZAD #NDDL to #HambacherForest: In memory of Steffen & all the others ! 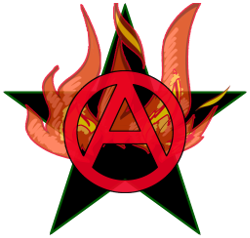 Supporting is participating to AntiRep!Net in showing solidarity and to maintain a wide variety of tools and act with other networks in resisting and fighting back different forms of repression and oppression, some of us do it from the front lines of la ZAD in Notre-Dame-des-Landes, fRance. We tend to do our actions and support without to much looking for social recognition. The idea and project exists since 2014. 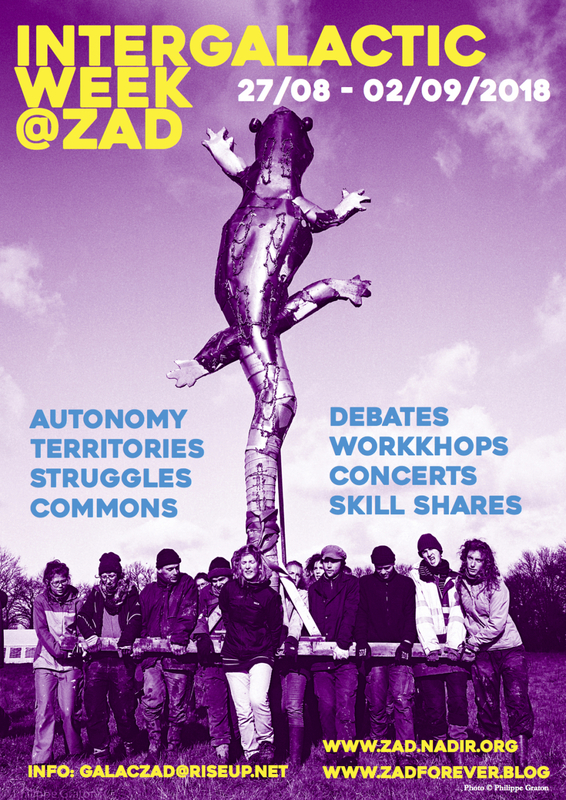 Today the french state wants to wipe la ZAD and some of its ideas, its potential and especially those engaged in more radical or emancipatory concepts of the map, out of existence… or in prison. 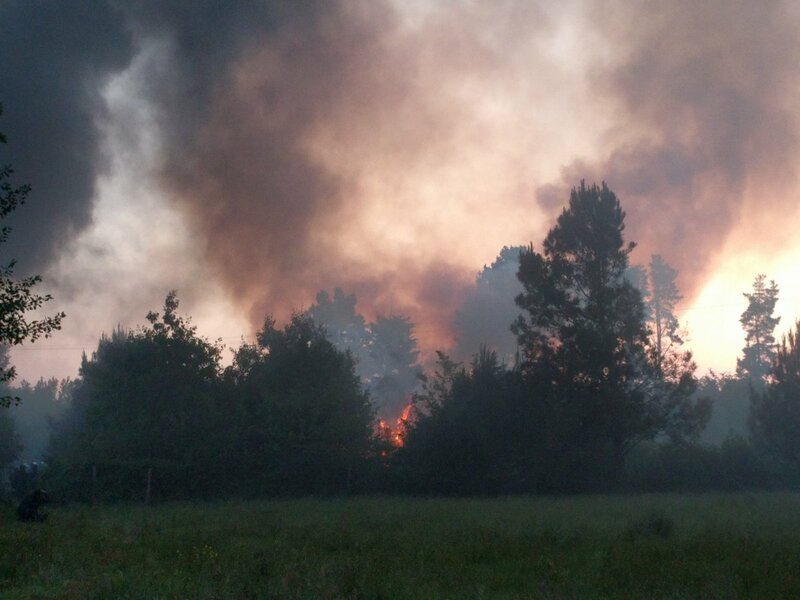 What is happening in Notre-Dame-de-Landes illustrates a conflict that concerns the whole world. It brings together, on the one hand, financial powers determined to transform the resources of living and nature into commodities and, on the other hand, the will to live that animates millions of beings whose existence is rendered precarious by the ever greater totalitarianism of profit. 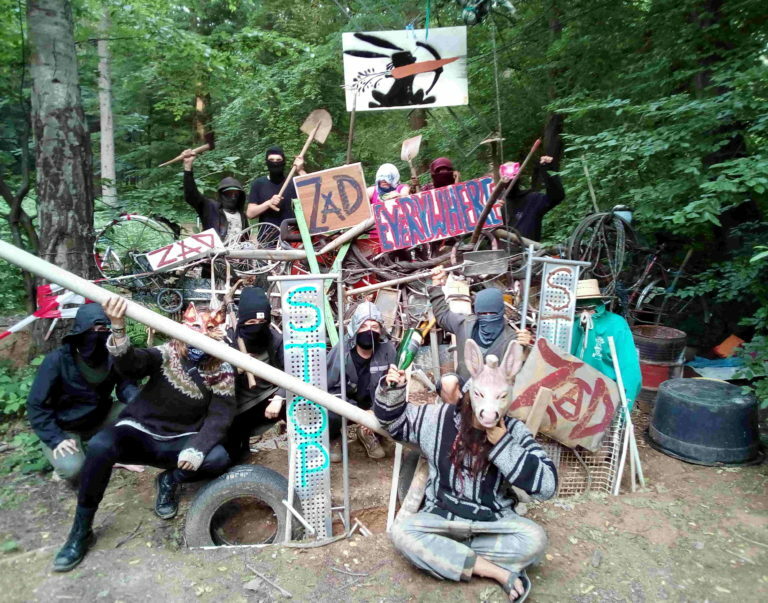 #ZAD #NDDL: Until where will we go with this scam of negociations ?? I haven’t signed the files project nor do i believe in negociation with a State. I don’t want to discuss with this oppressor, i just simply and only want to destroy it. 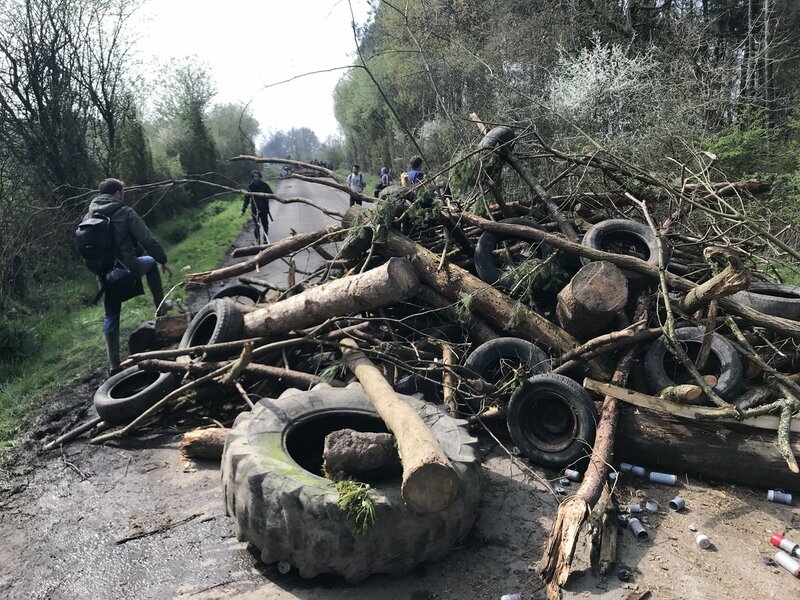 But still I feel concerned by this process of legalisation that includes almost all lands and sites on ZAD, this area that I see as a whole and not only as my little home, this last one today being destroyed anyways. 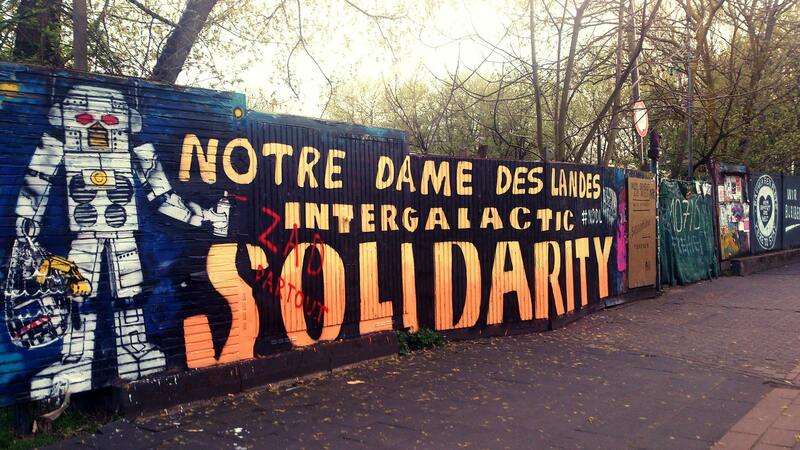 Continue reading #ZAD #NDDL: Until where will we go with this scam of negociations ?? Welcome to our live blog. 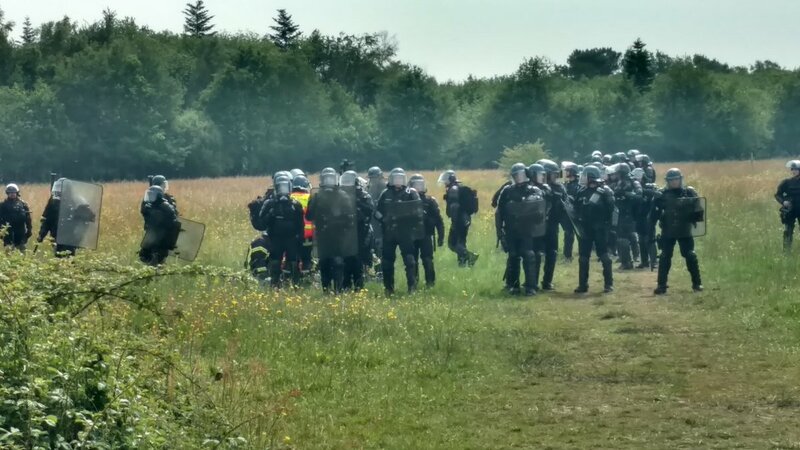 Yesterday the French state started with the second wave of expulsions at La Zad. If you want to contribute to our live blog; You can send your pictures, videos, reports and analysis. Go to our submit page: here. Click at the refresh button of your browser to get the latest information.